Pull over to a safe area – Right after the accident, turn on your hazard lights to alert other drivers. Try to pull over to a safe area where you can wait for help. Contact animal services – Next, call animal control or other municipal services about the incident. They can send someone out to help the animal if it’s still alive or remove it from the roadway. 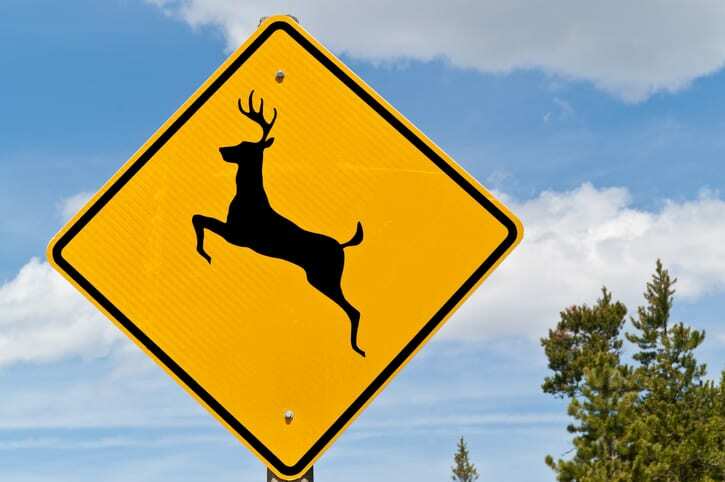 Be cautious around the animal – If you hit an animal, don’t go near it. While it’s natural to want to help, it can be very dangerous. Animals (even normally friendly pets) can lash out when they’re hurt or scared. Call an auto body repair shop – Reach out to an auto body repair shop. You’ll need someone with the tools to fix the damage caused by a wreck with an animal. We provide towing and can move your vehicle to our shop. The sooner you call us, the quicker your car will be repaired. Were you involved in an accident with an animal? Call Carolina Collision & Frame Service for quality auto body repair.